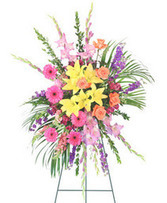 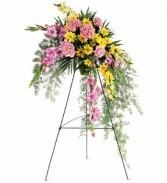 Sympathy Spray in Presque Isle, ME - COOK FLORIST, INC. 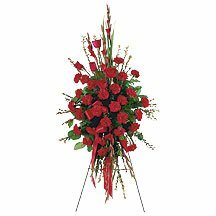 This elegant, all red funeral spray conveys compassion and deep devotion. 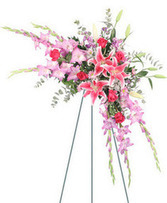 Presented on a traditional easel, it features a beautiful array of red funeral flowers.